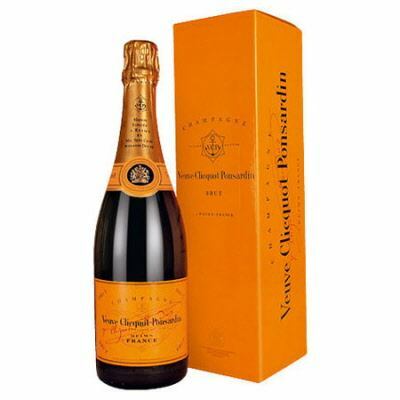 Magnum Veuve Clicquot Yellow Label Champagne .There is no better gift idea than a magnum of Champagne.The size of two bottles. All the packages are also suitable for postage. We can add a card to the gift for you. Free cards, Birthday cards and many different style cards, see our range. The Champagne produced today by Veuve Clicquot still lives up to the high standards set by Madame Clicquot, a young widow (veuve in French) who took over her late husbands estate at the beginning of the 19th century. It was Madame Clicquot who developed the important riddling procedure for Champagne, a way to remove dead yeast cells from bottles.